A 12 week nature conservation traineeship at Lower Sharpham Farm in South Devon, ideal for final year undergraduates, Masters students or recent graduates interested in a career in nature conservation. The Ambios nature conservation traineeship provides the foundation skills required for a career in nature conservation along with a comprehensive insight into working in the conservation sector. 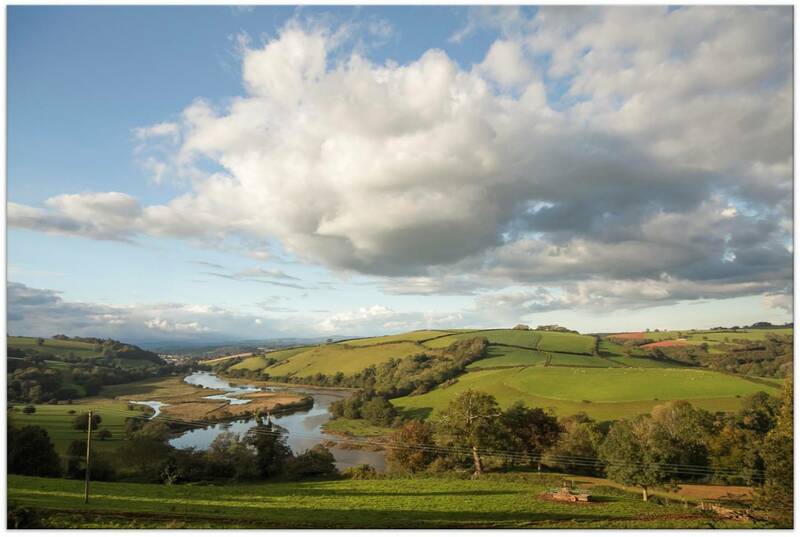 Trainees are based at Lower Sharpham Farm in the picturesque Dart River Valley, South Devon, where they will live and work with a team of fellow trainees as well as working with a range of conservation organizations from our extensive network. The traineeship can count toward university credits for students. (Affiliated to a non-UK, European university? Take a look at our Erasmus+ traineeship page! More information on Brexit, please follow this link. Whether you’re looking for a learning experience to broaden your horizons, or focused on the career path you want and you need experience to get you there, this training is for you. The aim of the placement is to help you gain the skills needed for a career in the nature conservation sector. Employers have identified the skills gap in students coming out of university. They lack necessary practical management and species identification and survey skills as well as vital employability skills such as team work, project planning and negotiation skills. This training aims to tackle this issue by providing an opportunity to experience various practical tasks as well as a chance to work towards a Europass Cerrtificate Supplement (by producing a portfolio of evidence proving your competence at practical nature conservation tasks). Erasmus+ Traineeships at Ambios - 16-9 with captions from Ambios Ltd on Vimeo. We operate an open recruitment and welcome applications from anyone. Our experiences suggest that graduates looking for crucial experience, career changers who are looking for a way into working in the nature conservation sector or those who are inspired by the natural world and want to broaden their horizons benefit from these placements; whether you are aiming to be the next Director of a wildlife NGO or the Environment Minister; a teacher, support worker, countryside ranger or researcher; tree surgeon, biologist, consultant or historic site manager this experience will set you on your way. The 12 week nature conservation traineeship is eligible for ERASMUS+ students. We aim to provide an introduction to the UK conservation sector. English language skills required: basic/intermediate level. We provide excellent language support to help those who need more confidence with their language skills. Up to 50% of ERASMUS+ funding is available. Who is delivering your work-based training? Ambios are a team of professional scientists and nature conservation educators with a track record dating back to the 1980s. They have extensive experience of working alongside volunteers and trainees and sharing their knowledge and enthusiasm for conservation and the farm itself. Their range of skills will support you in your placement, train you and enable shared learning experiences. You will spend most your time at the farm with timetabled days for specific fieldtrips in Devon. Whilst training at Lower Sharpham Farm you will live with a team of motivated fellow trainees all of whom will share a keen interest in nature and wildlife, have a good level of English language skills and have personal experiences and skills to share. You will be based in the cabin where you will share your living space and eat food from the local area, creating an absorbing placement where your time will be full. Once Ambios has accepted your application for the Nature Conservation Traineeship, you can make payment using the link below. The cost includes food and accommodation. Payments are taken in three stages – pre placement deposit, mid placement and on completion.